The First Team are home this weekend and face yet another match against Borth United FC. ‘The Crows’ have had an up and down season but gave top of the table Montgomery Town FC a run for their money last weekend, two second half goals was the difference. Manager Gareth Jenkins will be without Jack Evans(away) from last weekends squad, in comes Rob Snedden, keeper Tom Bevan also returns as does Will Goodwin, striker Matty Tong completes his three game ban. 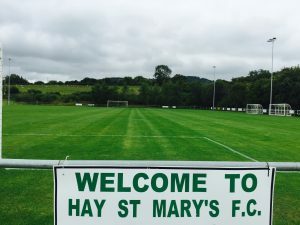 The Reserves are away at Felindre FC looking to build on their win against St Harmon FC.